Krzysztof Żwirblis will lead a walk titled “Social Actions in Kamionek”; one which will follow the tracks of his activities involving the residents of the Kamionek neighborhood. We will visit, among other places, Ms Barbara Szafrańska’s umbrella workshop and the remembrance room at the Special Education School Complex (which was a transition camp for forced laborers during the war). 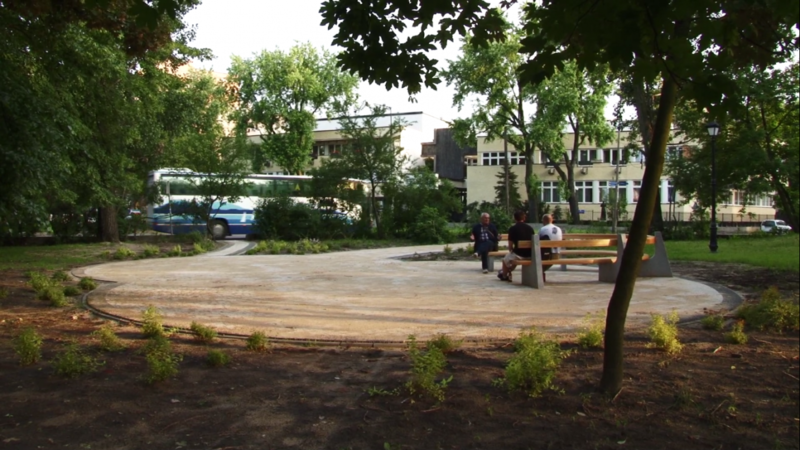 The tour will end at the square at Lubelska 30/32 next to the horseshoe shaped bench designed by Żwirblis in 2013. Krzysztof Żwirblis is a curator, art historian, author of art projects, and local community activist. In his work he refers to the Academy of Movement (Akademia Ruchu) and Jerzy Grotowski’s theater experiments. His traveling Social Museum is based on cooperation with the residents of a given area. It materializes as temporary exhibitions in shop windows, apartments, city squares, or clubs. The Social Museum features everyday objects which show the narrations and experiences of the participants of the project hidden within.